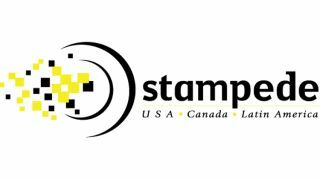 Chicago area resellers and their customers who want to take a long hard look at the future of digital signage will have that opportunity on March 8, 2018 when Stampede takes the Samsung Demo Room to the Lincolnshire, Illinois as part of its 2018 Big Book of AV Tour & Conference Series. The day-long event will be held at the Lincolnshire Marriott Resort (10 Marriott Dr. Lincolnshire, Illinois 60069) from 9:00 AM-2:00 PM. Attendee registration is still open. Headlining the tour stop is The Samsung Experience Demo Room, which is designed to ask the question we all ask each and every day: What does the future look like? Samsung Electronics understands that the future holds endless potential and exciting possibilities. At Samsung, the future is now, and it comes to life through a range of innovative display solutions. Displays tell our stories, amplify ideas and improve life. We have the power to turn vision into reality, showcase a world of action and shape the future. Guided tours will begin at 10:00AM and will occur every 30 minutes for the duration of the event.